Tried the latest Da Kine sliding spreader kite bar to help toe side riding.With a seat harness they just don't work very well. On the first run out, the hook moves to the front nicely.Going back the opposite way ,the hook grabs onto the webbing and doesnt slide effortlessly back to the new front.Have to grab the hook and pull it across when kite is close to neutral. Da kine have no fix for the issue.Please post if anyone has a solved this. May work better with a waist harness but don't use them. Dynabar when available seem a better proposition. 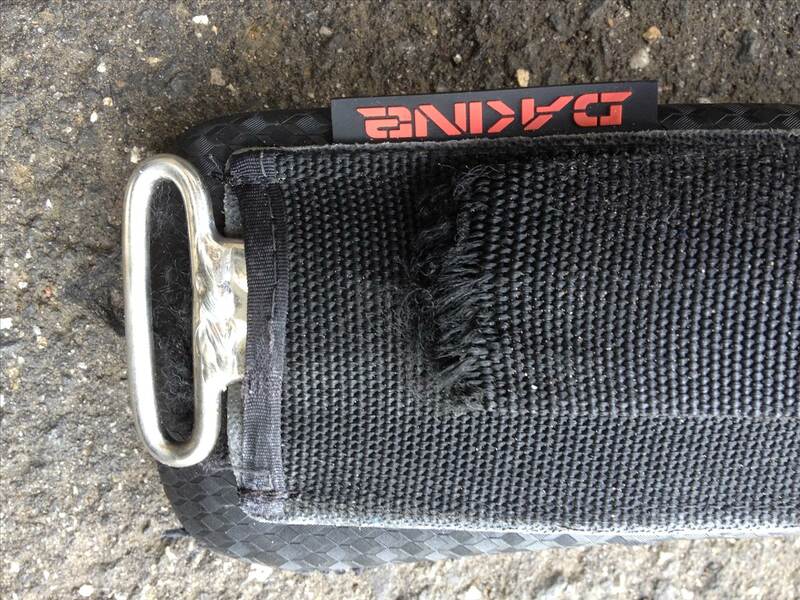 Even if that Dakine (and we sell Dakine) sliding idea worked it wears the webbing too quickly. I'm on a dynabar with rope, prowave version and its 2 full years old and still going strong, the fluid way it moves as you switch to toeside or switch stance is so smooth it makes your riding improve, it is much easier to make turns without the kite trying to pull you off the wave or off your board. Dynabar fits onto Dakine Harness. I watched a mate try to get the Dakine spreader to work over a couple of sessions, he threw it away. You will hardly know the dynbar is there after 10 minutes riding, they work great. I think I remember the Dakine sliding spreader bar taking numerous chunks out of my wettie back in the day!